The final stretch, and what a fantastic trilogy this has been. A mesh of traditional legends, Gods, Goddesses, fantastical creatures and imagined kingdoms. 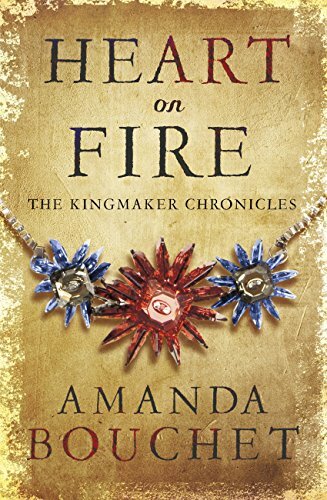 Amanda has taken bits of stories we all grew up with and shaped them into an amazing story that had me gripped right from the start. The characters, a real mix, and finding out some of the ones Cat has known for years were actually more then just magical humans came as a shock to her. Griffins family, she wishes she’d been brought up that way, secure in her parents love, but her upbringing was very far from that. Griffin and his siblings and parents support each other at every turn, Cat’s siblings were forced to fight each other and their mother for their lives, and killing her sister scarred Cat’s psyche in unimaginable ways. When she ran, aided by Thanos, and found the circus they became her family for many years, but she kept secret inside her talents, her magical skills. Then Griffin came into her life. Griffin has been incredible, he’s ambitious, but not for power, for peace. He wants to reunite the fractured kindoms and stop all the fighting, the abouse by those in power, the cruelty and murders, but he’s happy to stand behind Cat, to take second place as he knows she’s meant to be the figurehead. Turns out much of what he feels is real, that he and Cat were shaped for each other, given the skills to get this done but that doesn’t mean its plain sailing. They’ve come so far but still have a big battle in store, Cat’s mother won’t give up her kingdom easily, and Cat knows just how powerful she is. I love the way this plays out, as with the other two books there are battles, both on a large scale, and small with just Cat, Griffin and sometimes some of the others from Elpis team. There’s a backstabbing betrayal that comes as a shock, there are multiple times they face death and scrape by aided by one of the Gods, or by a talent they’ve gifted them in the past – nothing was ever free though, they had to prove they had the skills, they were right to hold that gift. I want my characters to have to work to win, to have to make tough choices, to really understand what it is their asking, doing, wanting. I need them to practice to get the skills they need, not just whip them out of a hat at the tough moment, and Griffin ensures Cat and the rest of the team do all that. There’s lots to understand to about him and Cat, why and how they are who they are, the consequences of their actions, their pasts and how that has affected them. Of course it culminates in an amazing battle bringing in so much of whats gone down earlier in this book, and in the previous two. I love stories that do that, build on events and characters, let them play a full role in how the story ends, not just a bit part along the way. Way back when I read the first part of Charlie N. Holmberg’s Magician trilogy, I wrote that I thought it would make a fantastic family film – and a couple of years later Disney picked it up. I really think this trilogy would be a terrific film too, but more for new adults upwards. There are scenes between Cat and Griffin that are very sensual, which belong to the story, show their connection, but which would probably get toned down too much or disappear if this became a family film, and that would be a real loss IMO. Stars: five, a fantastic trilogy, gripping, entertaining and one to keep.